Wilco Marine Restorations is one of New England's finest boat restoration yards and has been a landmark on Rt. 1 in Newbury, MA since 1980. Our mission has been, and always will be, to offer the finest quality boat repairs and restorations. In the early days, we tackled a variety of boat and fiberglass repairs as well as building offshore racing boats, designing test tanks for the industrial market to fabricating the finest Ferrari replica in the world, the Daytona Spyder. 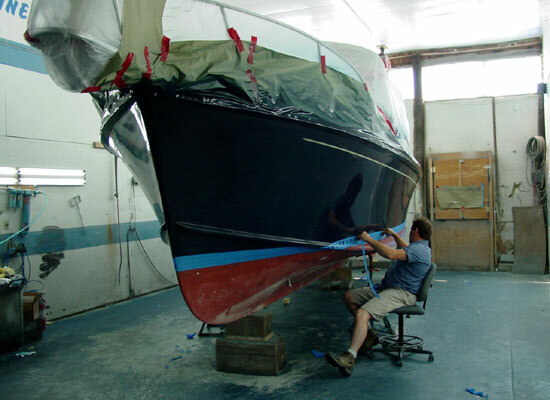 As our work stood the test of time, our reputation grew quickly and we developed an extremely loyal following of customers, many of whom continue to bring their boats to our yard each year for a variety of boat restoration and repair projects. At the same time that we were developing our local customer base, we were also gaining the respect and accolades of many boat manufacturers by coming up with effective solutions to often very complex, boat warranty repairs. While we are extremely confident that you will be happy with our work, don't take our word for it. Ask around your yacht club or marina, and you'll be sure to find a satisifed customer or two.